Second Coming and our Righteousness. The Lamb of God died on the cross for all our sins. All we have to do is to believe by faith this is true and to accept into our hearts the Lord Jesus as our Savior and soon to come King. Unlike other religions, Christianity does not place physical demands on us. Therefore regardless of our self-perception, when we are born again, or when we receive Jesus Christ into our hearts as our Lord, we become the righteousness of God in the Anointed One, Christ Jesus. There is nothing we can do on our own, which will make us righteous before God. Any such acts before God are all like filthy rags. Salvation is His plan for the lost world and Jesus has already paid the price. Right vs. Righteous. There's a difference between living right and living righteously. Living righteously is to live in right-standing, or in covenant with God. Jeremiah 23:6 refers to God as "The Lord our righteousness." The Hebrew translation is "Yahweh Tsidkenu." 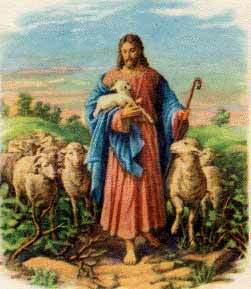 We must receive the Lamb of God as "Yahweh our righteousness". Second Corinthians 5:21 says Jesus, being sinless, became our sin so we might become righteous. In other words, He was clothed in sin so we, who were unrighteous, might be clothed in His Righteousness. Originally, we were clothed in filthy rags (sin, disobedience and rebellion). Notice there is now no condemnation for your sins because you've accepted Jesus as your Lord and Savior. Not only is Yahweh your righteousness, He also is Yahweh M'Kaddesh - the One Who sanctifies. Leviticus 20:7-8 says, "Sanctify yourselves therefore, and be ye holy: for I am the Lord your God". The result is purification and holiness - having the mind of God and agreeing with whatever the Word says. Only Believe and it shall be unto you as it is written.